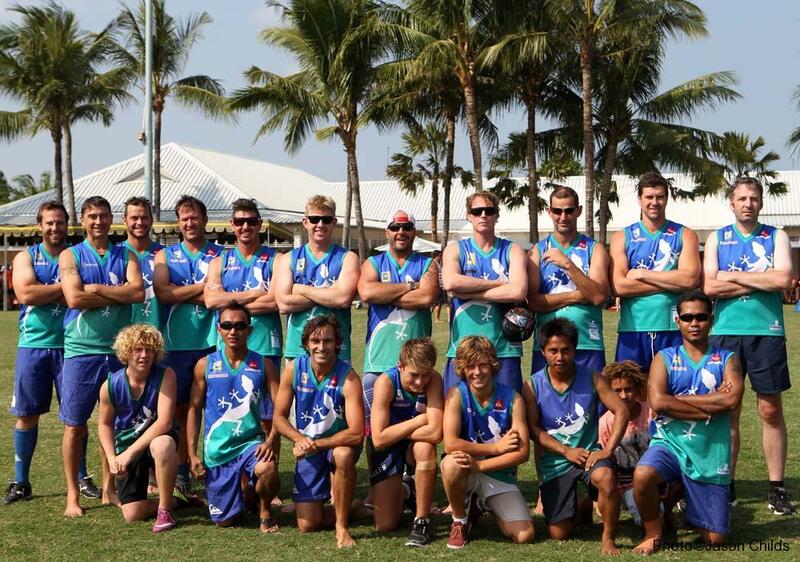 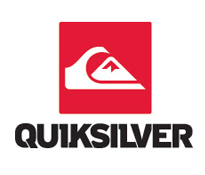 The Bali Geckos Masters Team for 2014. 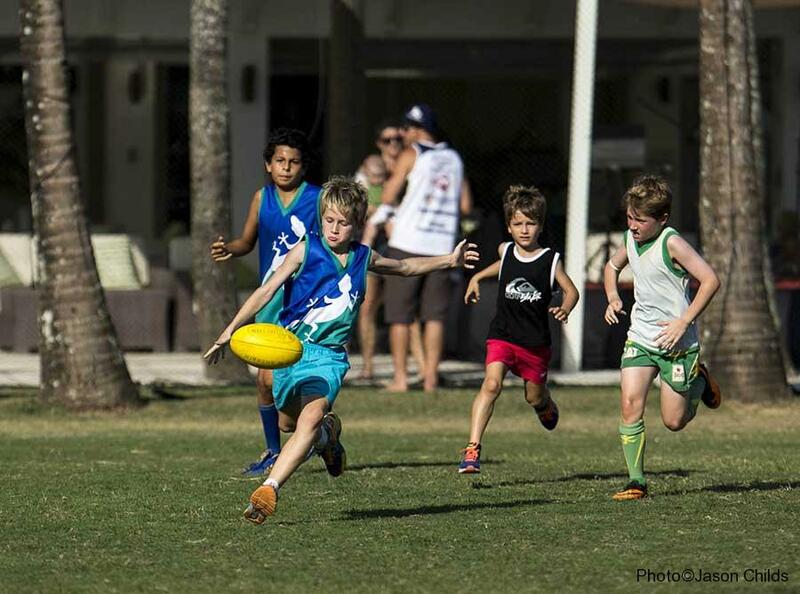 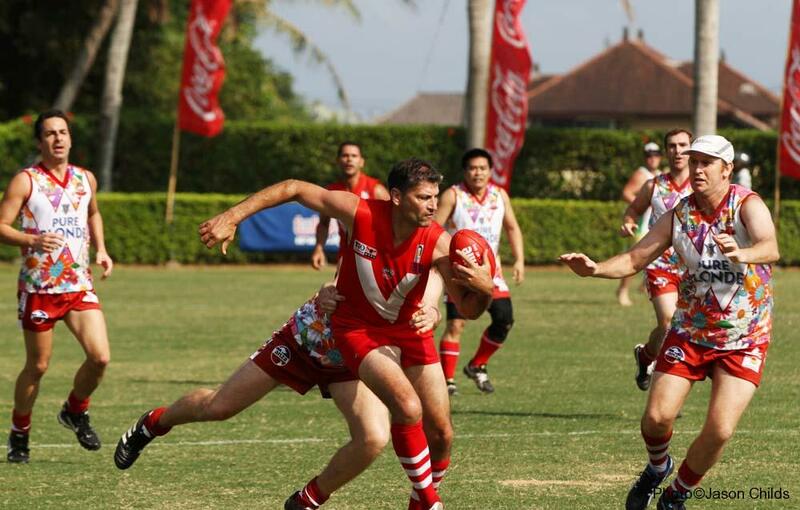 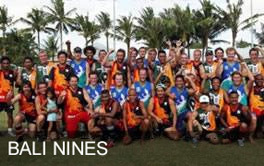 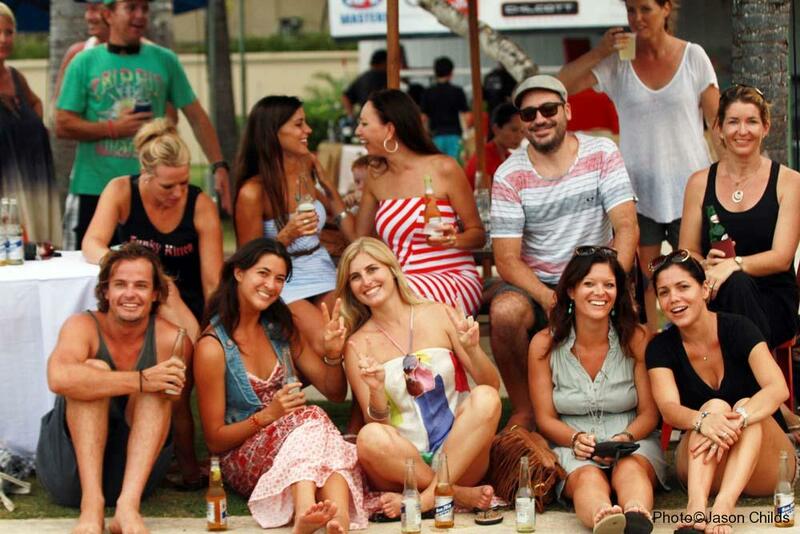 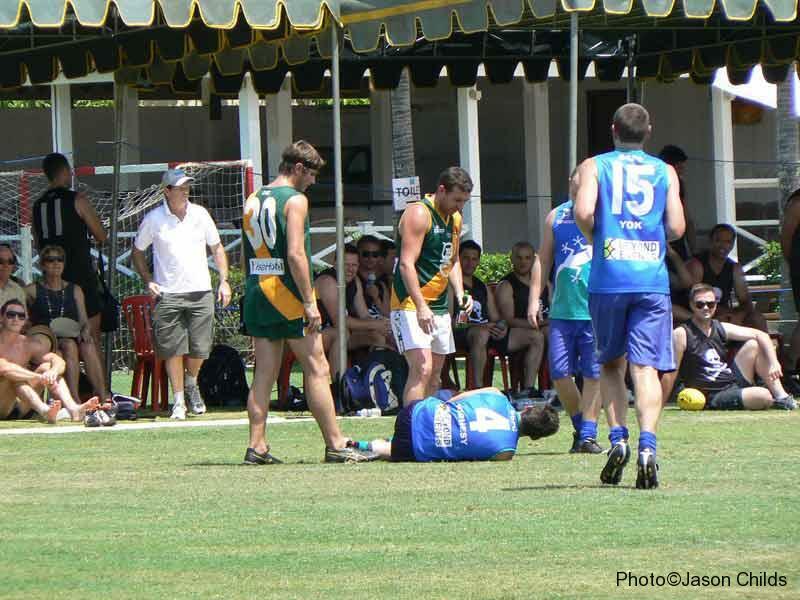 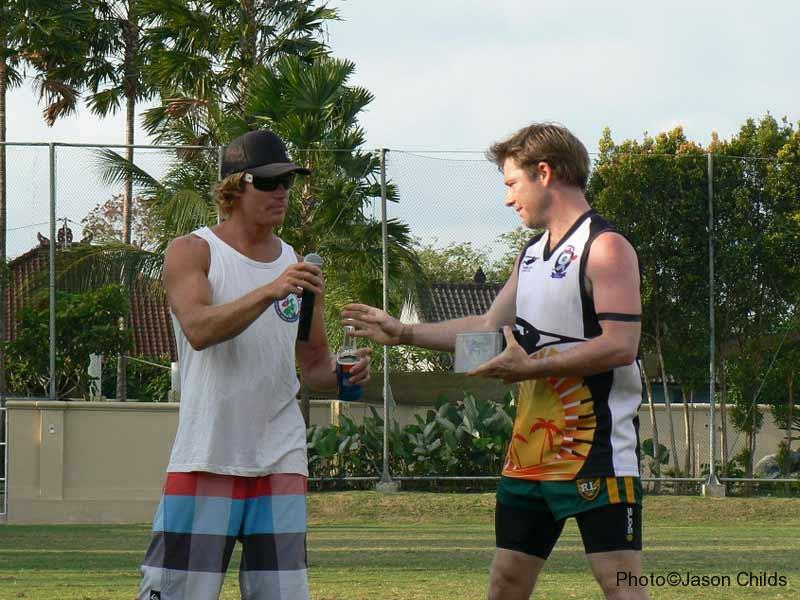 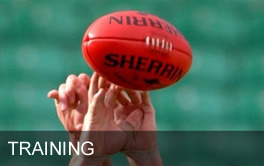 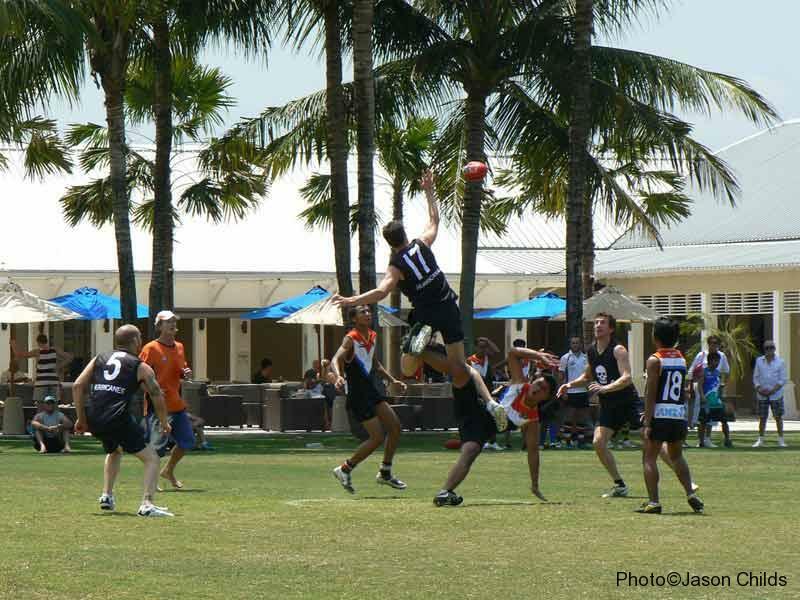 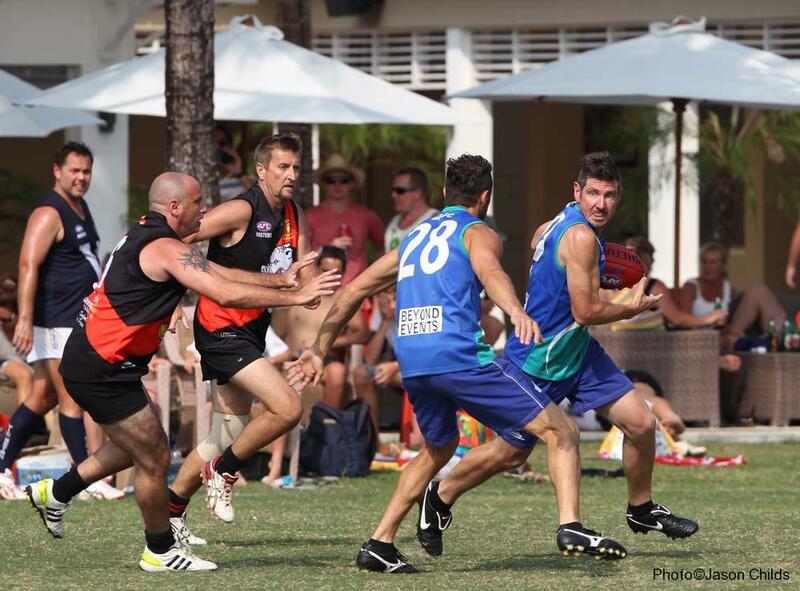 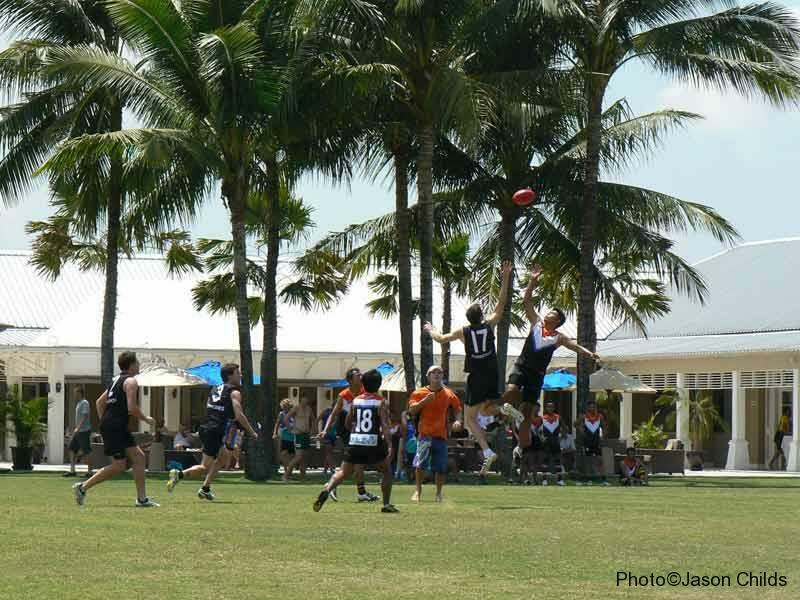 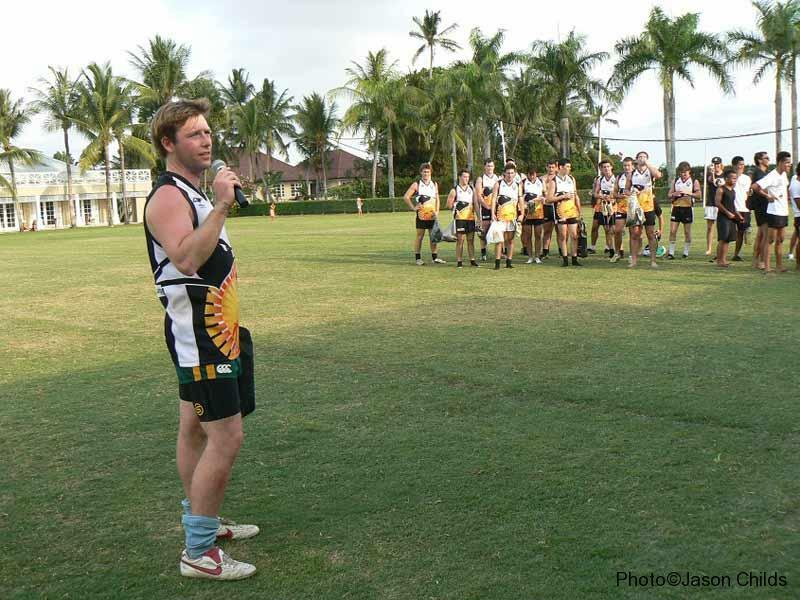 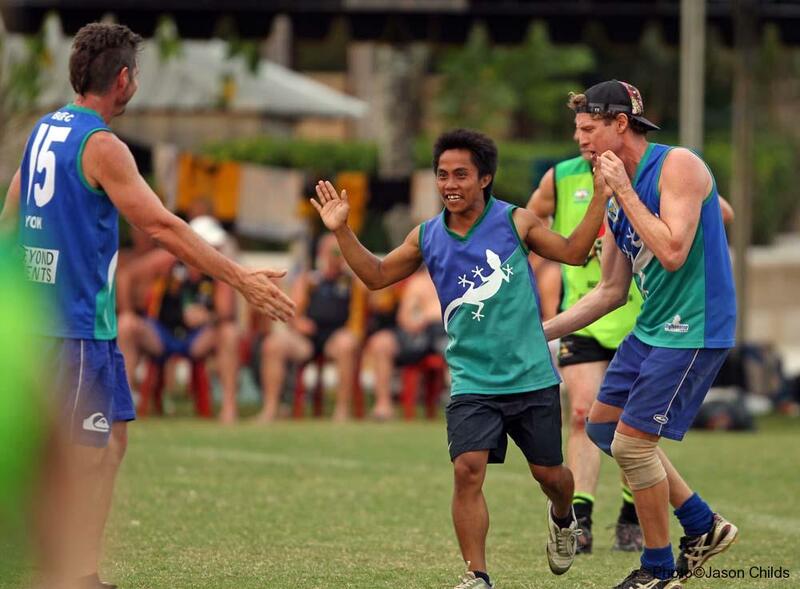 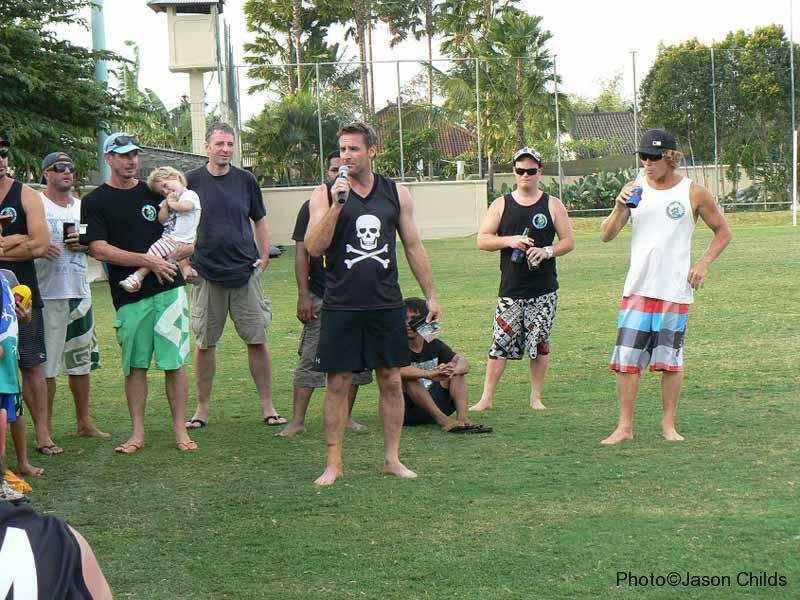 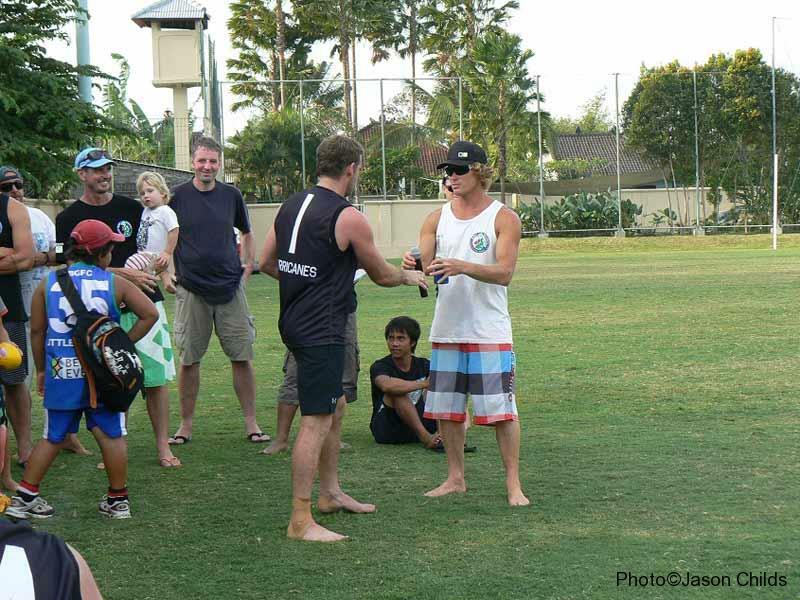 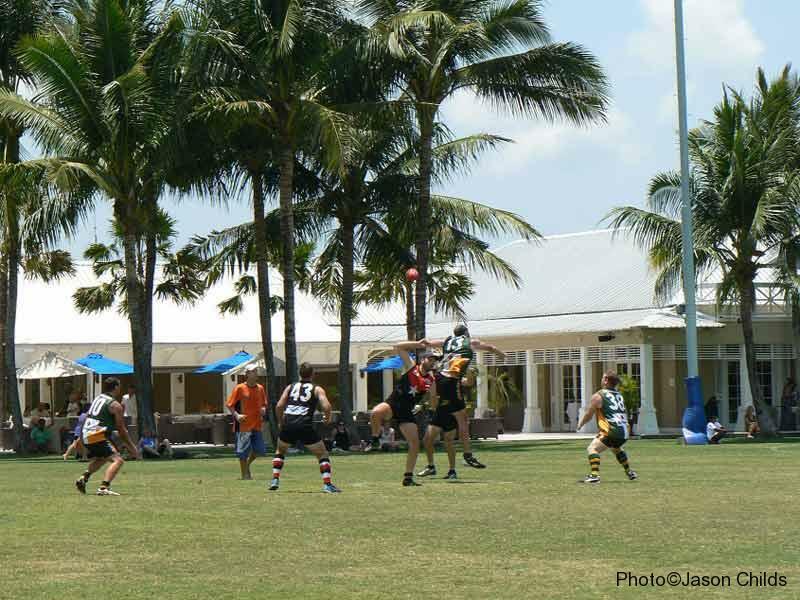 The other 22 teams competing in the 2014 Bali Masters Australian Rules Championship were seen visibly trembling in their footy boots when this mob took to the ground at the Canggu Club on Friday afternoon. 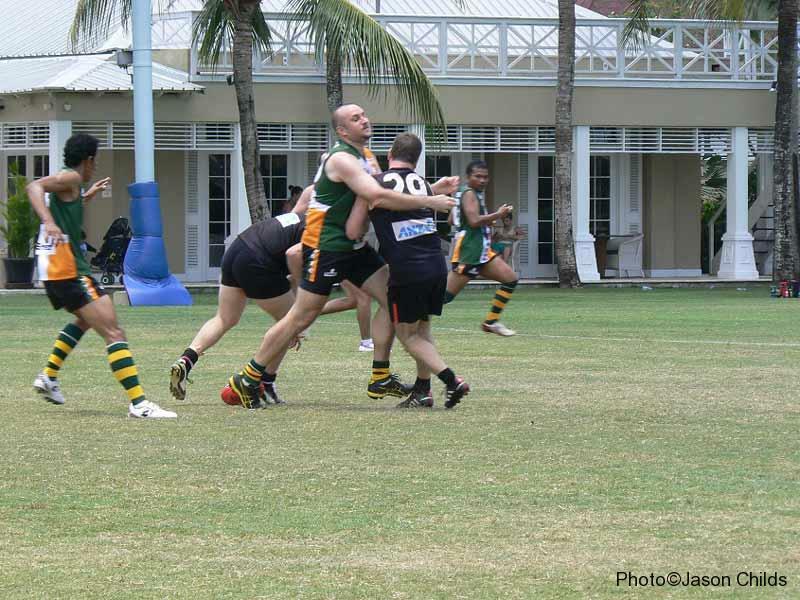 First game for the Geckos were against the fearsome ‘Dubai Dingoes’. 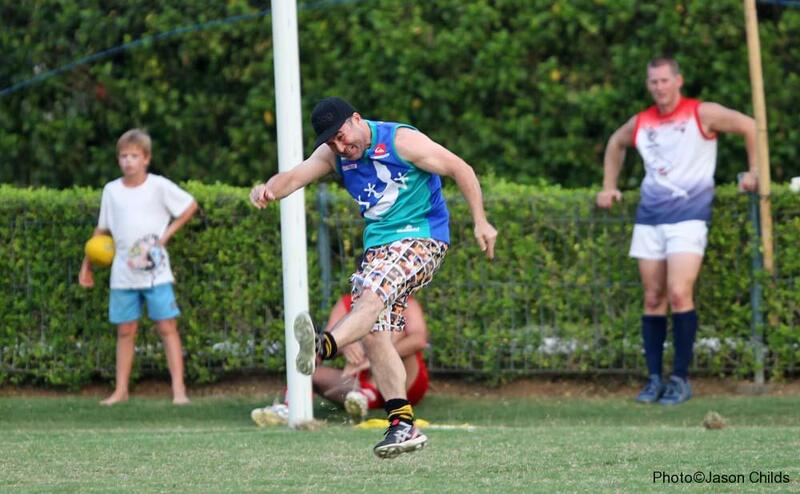 The Geckos came out of the gates strongly with bursts of pure brilliance early on from the likes of Rod Joseph and club stalwart – the one and only ‘Buffet’ with great backup work from Tony Smith and the legendary Greg ‘Hinchy’ Hinchliffe. 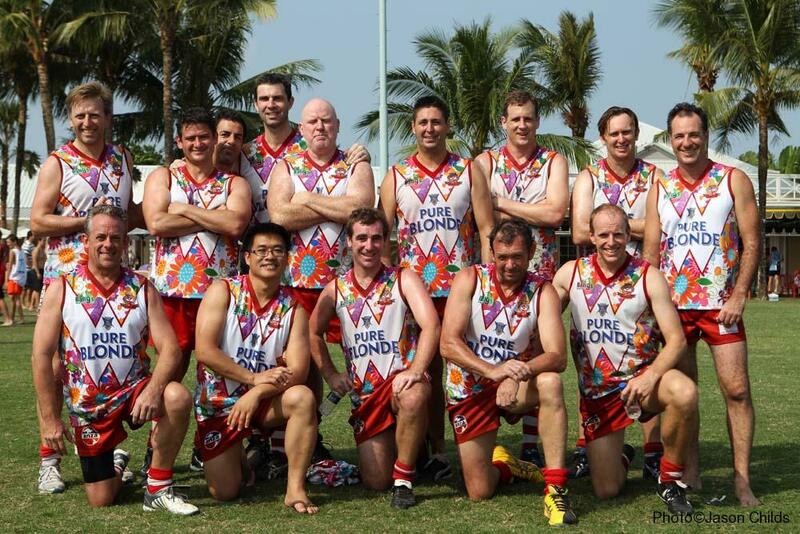 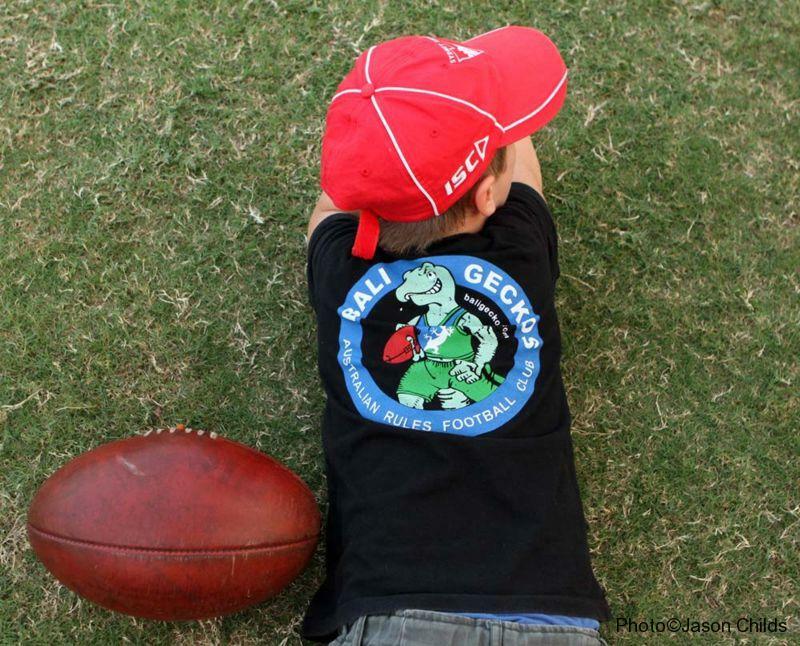 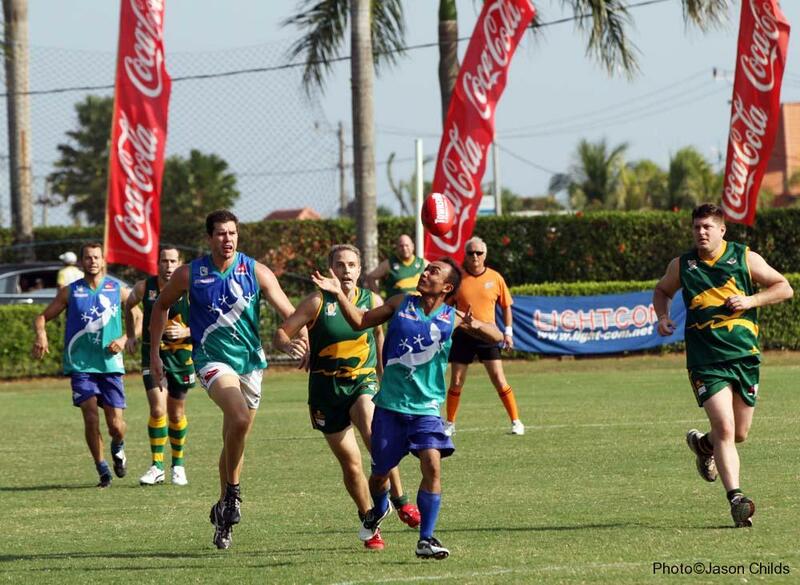 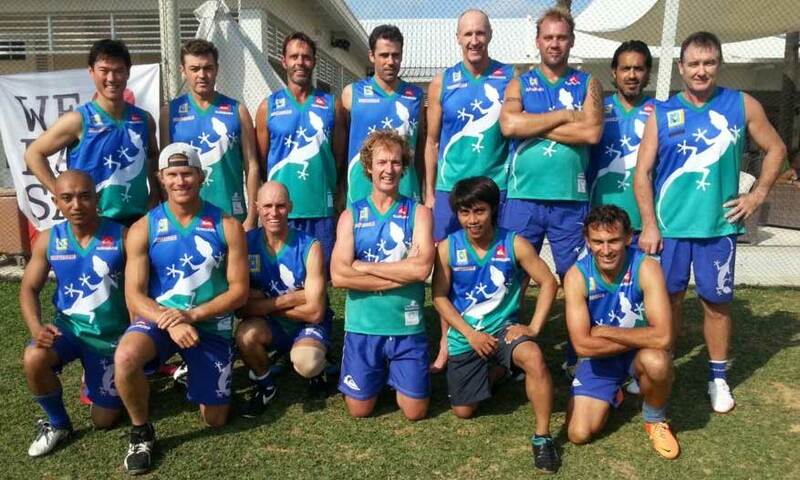 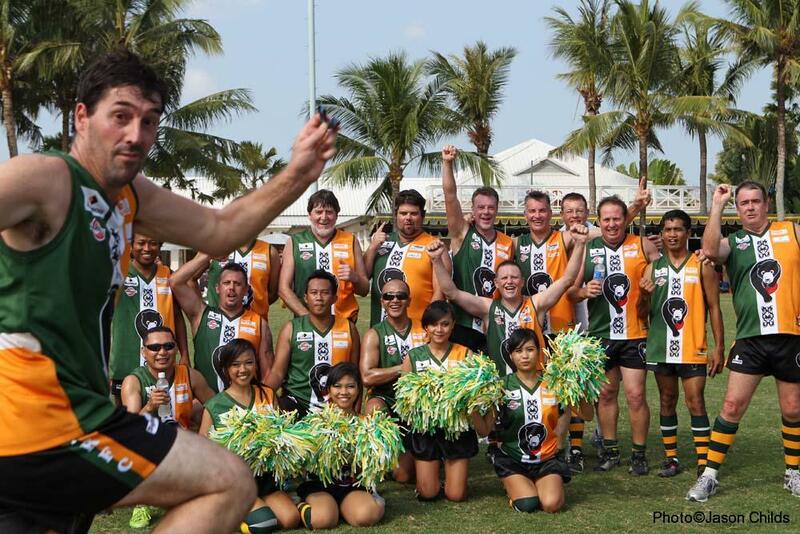 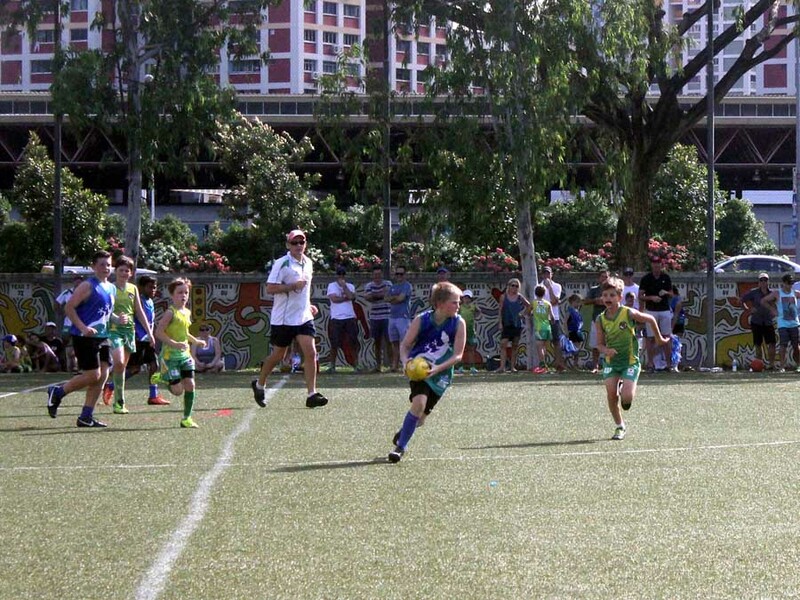 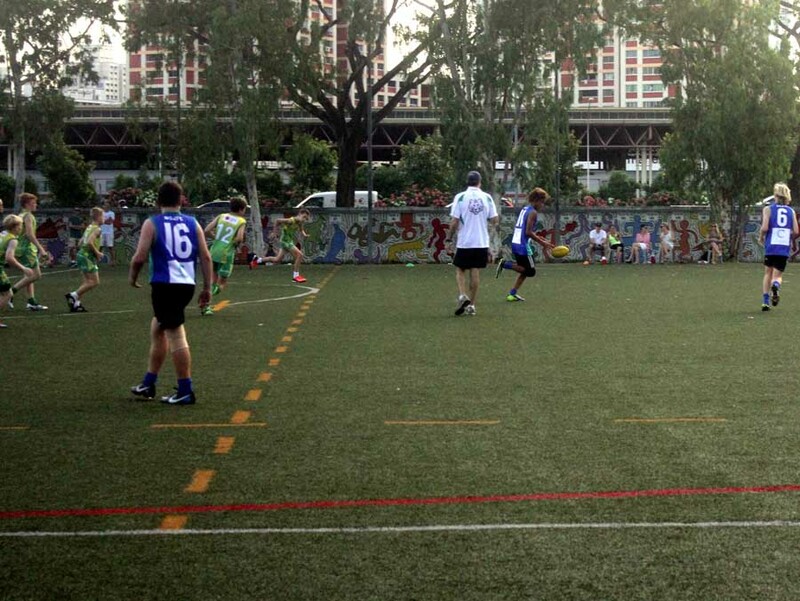 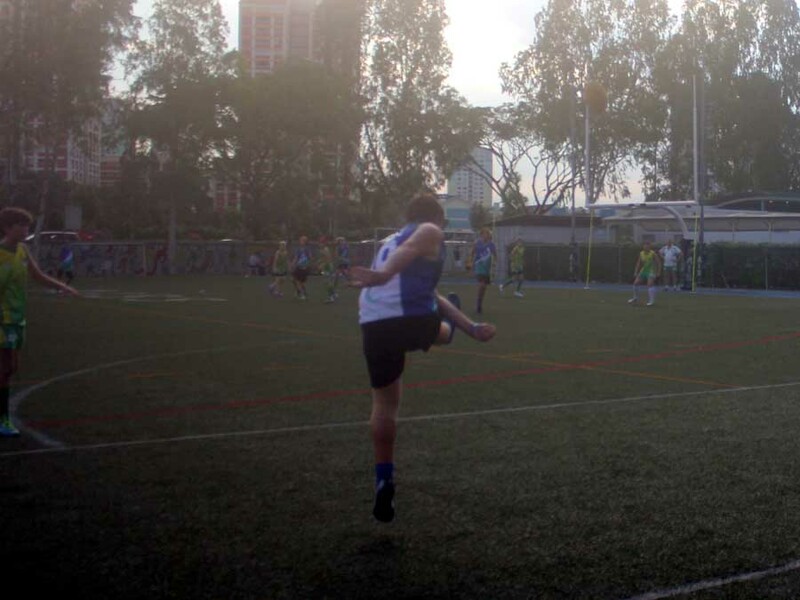 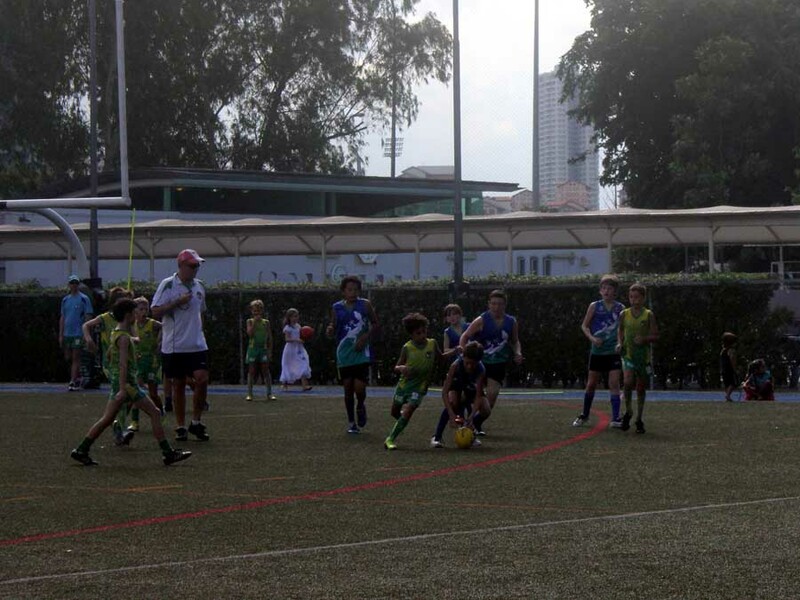 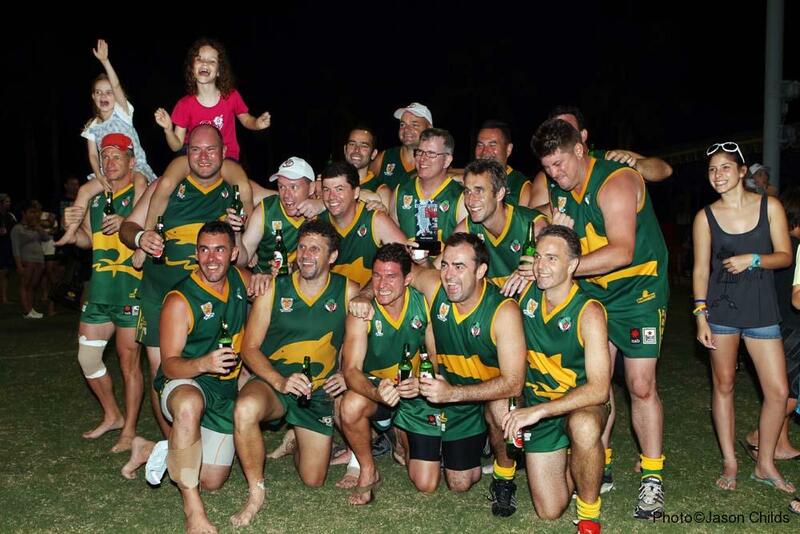 Unfortunately the ‘Dubai Dingoes’ could play footy and the Geckos got unmercifully flogged in the 2nd half.